A high-tech machine smashing particles together at close to the speed of light just got a serious firepower upgrade. 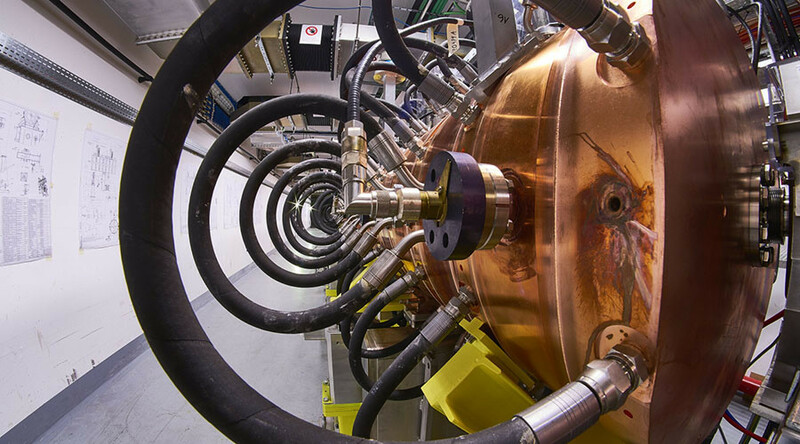 CERN’s newest accelerator, Linac 4, is 90 meters long and took 10 years to build at a cost of 93 million Swiss francs ($93 million). "We are delighted to celebrate this remarkable accomplishment. 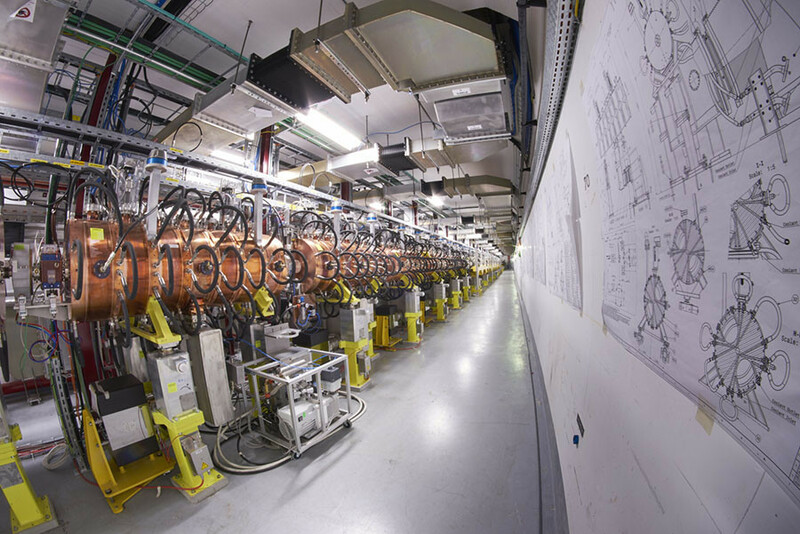 Linac 4 is a modern injector and the first key element of our ambitious upgrade programme, leading up to the High-Luminosity LHC,” said CERN Director General Fabiola Gianotti in a press release. The Large Hadron Collider (LHC) is a particle accelerator based in Switzerland that helps scientists and the rest of us understand the mysteries of the universe. The upgrade known as Linac 4 will feed the CERN complex, including the 27-km (17-mile) Large Hadron Collider, with high-energy particle beams. Linac 4 is due to be installed, after an extensive period of testing, during the planned shut down of the facility between 2019 and 2020. The Linac 4 will triple the energy output of its 39-year-old predecessor Linac 2, producing beams of up to 160 MeV energy, thus doubling the intensity of the beam delivered to the LHC, increasing the luminosity of the LHC. Luminosity is the number of particles colliding within a specific amount of time. This is the first step towards increasing the overall luminosity of the LHC by a factor of five by 2025 which will eventually allow the facility to collect up to ten times the amount of data it currently can, reports Phys.org. "This high-luminosity phase will considerably increase the potential of the LHC experiments for discovering new physics and measuring the properties of the Higgs particle in more detail,” Gianotti added. 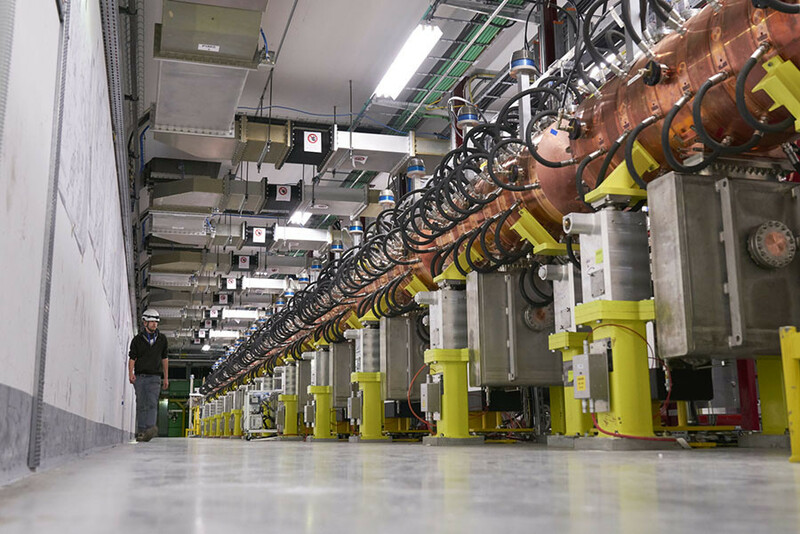 The Linac 4 will provide more accurate measurements of fundamental particles: matter particles, which make up the majority of the universe around us, and photons, which are responsible for electromagnetic radiation. This will allow researchers to create and observe unique events that are beyond humanity’s current capabilities and well beyond our current scientific understanding. It will also help the ongoing development of portable accelerators for use in two very different fields: cancer treatments and high-art analysis. CERN has already licensed a patent for a portable particle accelerator to ADAM, a CERN spin-off owned by Advanced Oncotherapy. The technology is capable of producing isotopes which can help diagnose cancers, though they must be produced remotely and then rushed to hospitals as they decay so rapidly. "With our portable technology they could be made inside the hospital already," project leader Maurizio Vretenar said, as cited by Reuters. The particle accelerator analysis can also date and source the materials used to produce the paint or metal contained in the world’s most precious artwork, easily revealing restorations and fakes. "We are building something portable," he said. "We already have a collaboration with the Louvre, and with the Italians at Florence at the Italian institute for conservation of artworks." The Louvre is currently the only art gallery in the world that has its own particle accelerator, which it uses every Tuesday, when the museum is closed, to analyze some of the world’s rarest pieces of art. "We are very careful. The intensity of particles is very low," he said. "It's not like here [CERN], there's only a few protons."